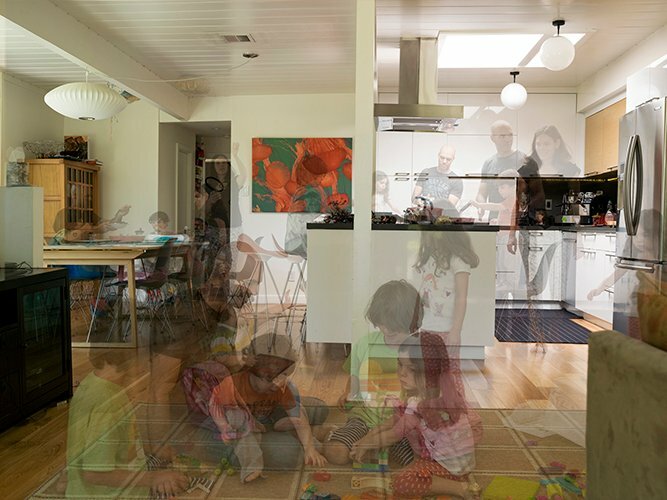 A fine arts photographer who lives in an Eichler has been photographing her neighbors in a project that suggests the homes are special places to raise a family – and make memories. 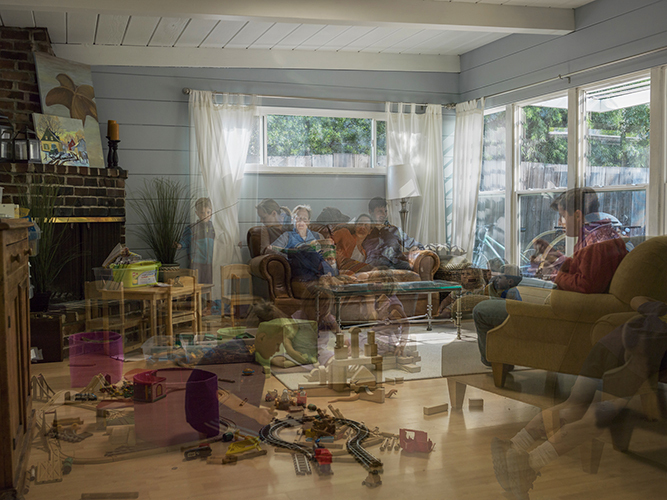 Charlotta María Hauksdóttir, who lives in Palo Alto’s Fairmeadow tract sets up her camera and tripod in the homes of “neighbors and friends and acquaintances and strangers,” she says, then lets the chosen family go about their weekend activities. She does not pose her subjects. She returns once or twice later in the day to shoot again, then painstakingly overlays the multiple shots to produce one image, from which she produces a 20-by-30-inch print. “There is so much detail and some of it is hard to see so I try to print it fairly big,” she says. People interested in purchasing her work can contact Hauksdóttir through her website. 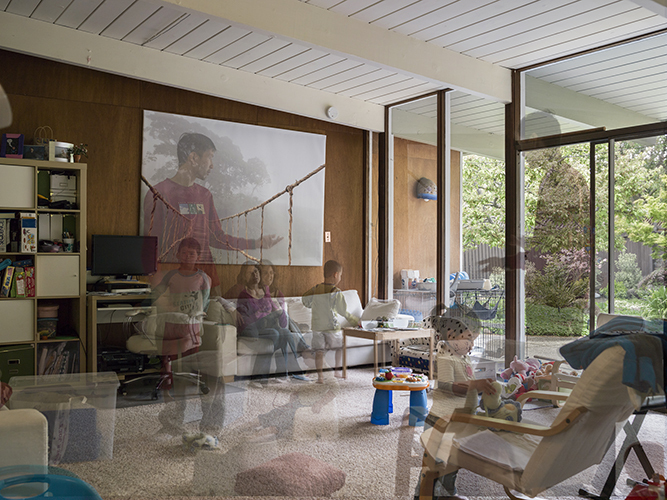 She shoots these family scenes in other houses as well as Eichlers. “These are not studies of architecture but of families living in their homes,” she says. But Eichlers provide particularly apt settings. “I like the open quality and the bright light in Eichler houses and how (the house) enhances the family coming together and settling in." Hauksdóttir, who grew up in Iceland and studied there and at the San Francisco Art Institute, does a wide variety of photographic work, human-sized Icelandic landscapes, “traces” of detritus on the ground. “My work is a lot about memories and belonging and finding your place in the world,” she says. 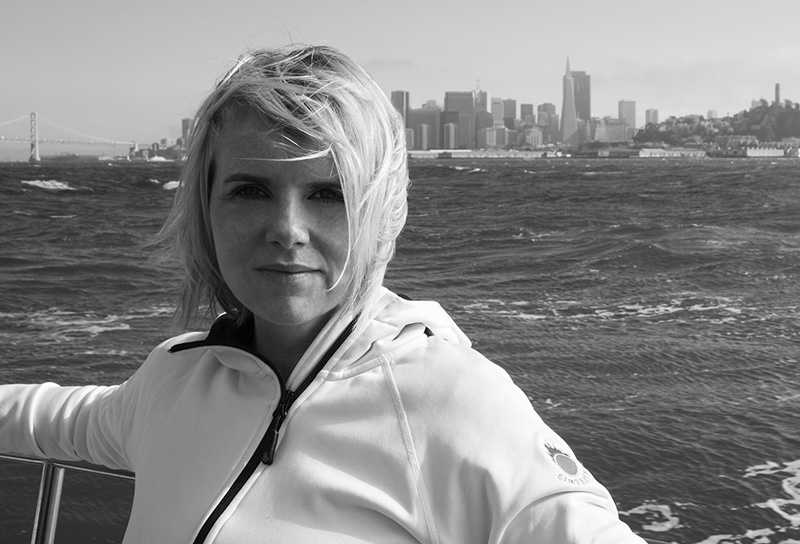 In that way it’s a bit autobiographical, inspired in part by her and her husband’s move to the Bay Area from Iceland with their two children. 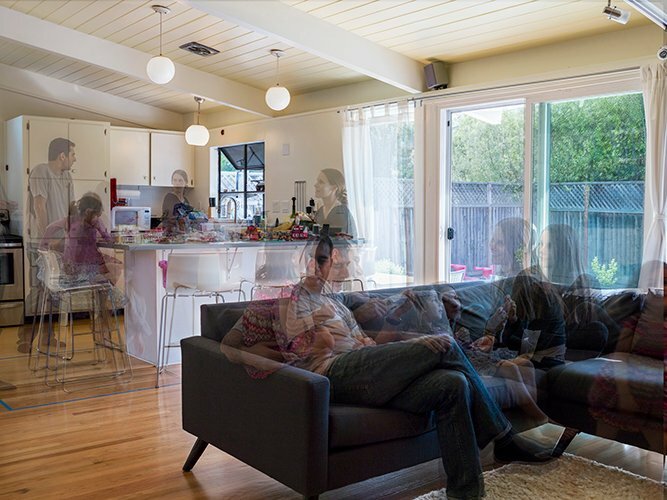 They lived in San Francisco, then rented an Eichler in Palo Alto’s Charleston Meadows before buying two years ago in Fairmeadow. “We kind of fell in love with Eichlers,” she says.